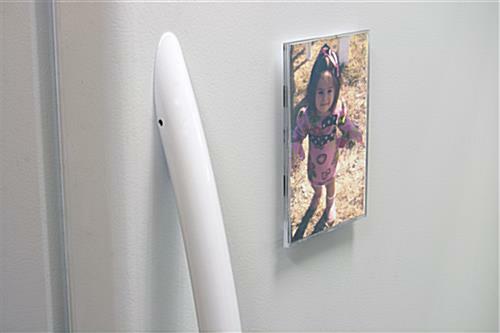 These 4x6 magnetic photo holders come in convenient packs of 10 frames. 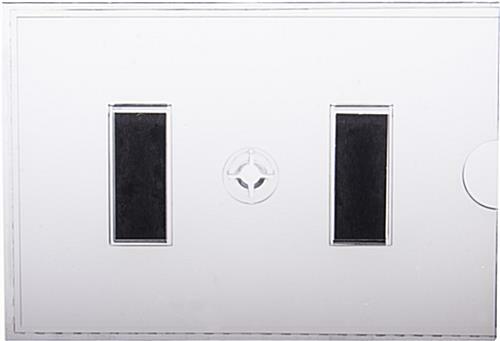 Each acrylic fixture is a clear pocket with magnet strips attached to the back for easy mounting on metal surfaces. 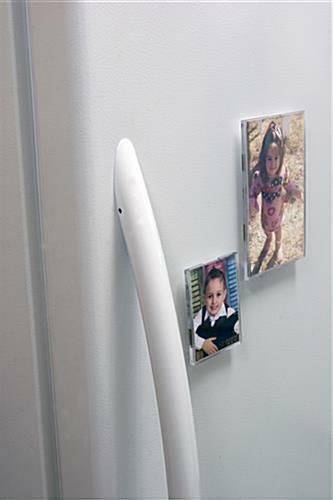 Magnetic photo holders for home use on the fridge are also an ideal choice for trade show booth or event giveaways. The inexpensive side-loading polystyrene displays can be used in either portrait or landscape orientation, and are great for showcasing personal photos as well as business messaging or advertising. Economical acrylic photo holders with 4" x 6" clear pockets are an easy and eye-catching alternative to traditional picture albums or flimsy plastic sleeves. 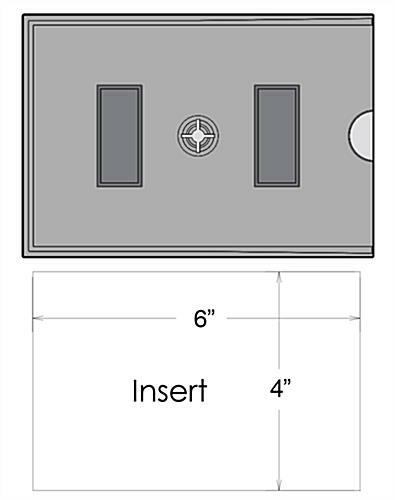 The easy-to-use accessories will be the hit of any event, meeting, giveaway or booth promotion!